Since Pearl Source offers such a wide range of pearl types, our customers can often times be confused on which type of pearl offers the best value at their budget. Read our brief summaries below to educate yourself regarding the origin, value, size and quality of each pearl type. 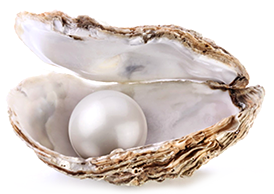 Since the 1930's, Akoya pearls are the world's best-known pearl. 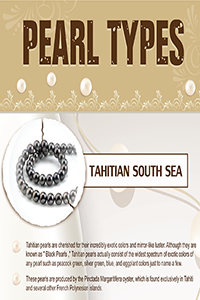 Akoya pearls are often very round and spherical in shape and are complemented by very high luster. Produced by a small oyster called the Pinctada Fucata off the seas of Japan and China, they are commonly found in sizes ranging from 2mm to 10mm in size. Akoya pearls are a long-time favorite in the pearl industry and are commonly worn by brides on their wedding day. 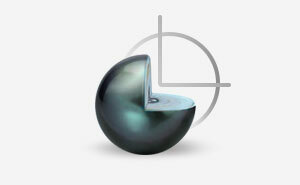 Pearl sizing varies widely depending on the type of pearl that is being evaluated. Pearls are assigned to four categories: Round/Semi-Round, Drop, Baroque, and Circle Baroque.